Manon Vennat currently heads her own consulting firm, Manon Vennat & Associates. She has held several positions in the private and public sectors during her career. Recently she was a part-time Commissioner of the Public Service of Canada for some 7 years. 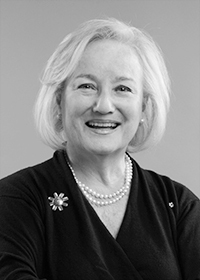 From 1980 to 1986, she was Vice-President, Administration and General Counsel to the Board of AES Data before joining Spencer Stuart at the end of 1986 as Vice-President and later Chairman, Montreal where she spent some 20 years. 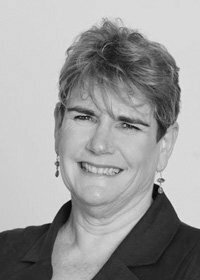 Throughout her career, Manon has been very active professionally and in the community. She is a Past President of the Montreal Board of Trade, the first woman to have held this position, a Past Chair of the Board of Directors of the McCord Museum of Canadian History and of its Foundation and remains active on its board. She is also a former member of the Board of the McGill Institute for the Study of Canada, the Historical Foundation and of the Historical Dominion Institute. Manon has been a board member of several Canadian corporations including E-L Financial, Empire Life, McGraw-Hill Ryerson and Greiche & Scaff and a governor of the Montreal Stock Exchange. She is a former member of the boards of the Public Policy Forum, of the Institute for Research on Public Policy and is also a past member of the Boards of the US-Canada Fulbright Program, of the Canadian Studies Center of Duke University, of the board of Governors of Concordia University and more recently of McGill where she is an Emeritus Governor and remains active.